KEY FACT: There is absolutely no need for you to have tried SUP or SUP yoga before! 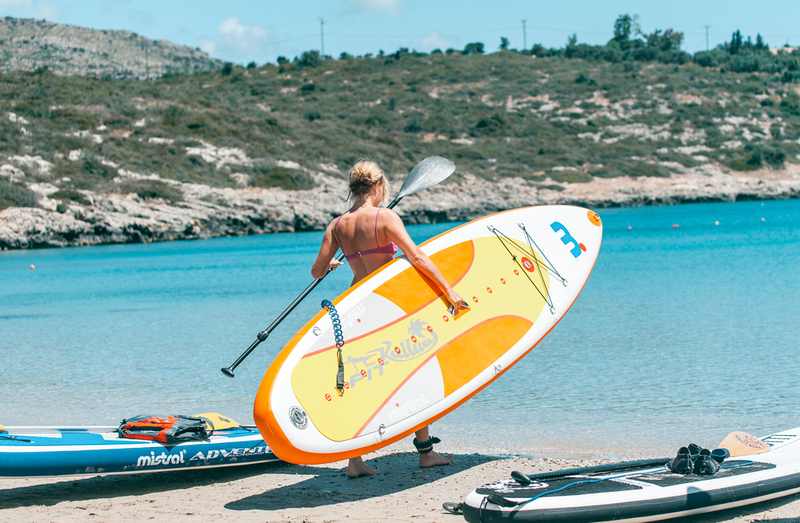 Wander down from your clifftop villa to a stretch of golden sand for your morning SUP Yoga practice in the turquoise waters of Loutraki Bay. Spend the day relaxing by your pool or explore the coastline with a snorkel and a SUP. In the evening, after a gentle yin/restorative class, watch the sunset across the bay over a dinner table of local dishes. Welcome to Crete! 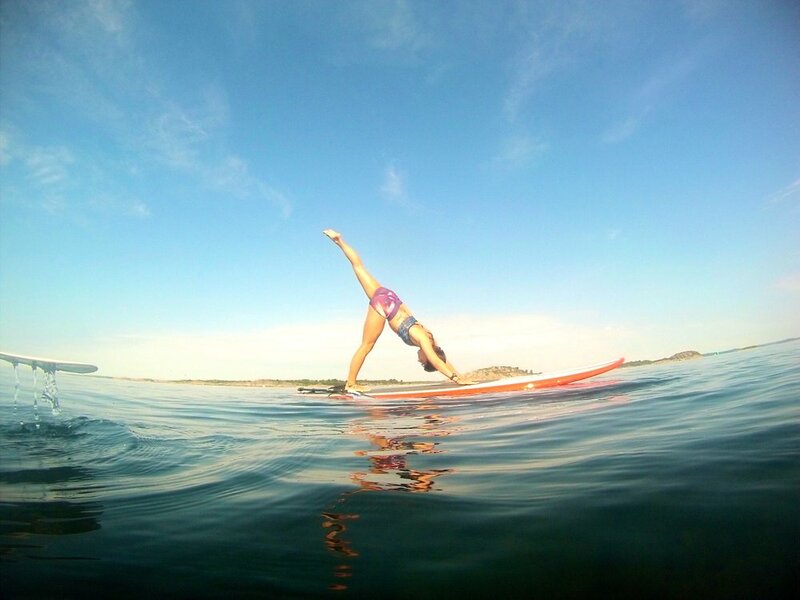 In our SUP Yoga classes, we swap your mat for a board, and a sweaty studio for calm, tranquil seas. Led by Frida Sethman, this retreat will help you to learn or refine your SUP Yoga skills. Set against the idyllic blue of the Mediterranean, her rejuvenating classes will challenge your core and balance and enhance your practice. Yoga and SUP are a perfect synergy. By enhancing your awareness of your balance and injecting an element of fun and the great outdoors to traditional yoga practice, SUP Yoga is good for body and soul. After the first ten minutes, you will feel comfortable and confident on your board and be able to take advantage of a whole new yoga dimension. 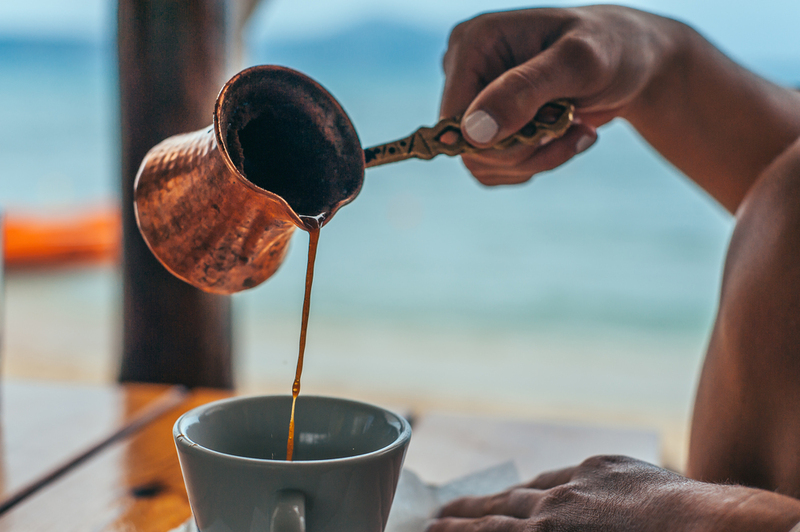 Tune into nature, surround yourself with the positive energies of the Mediterrean sun, the Aegean sea and the Cretan diet and partake in a unique experience! This retreat is open to all - whether you are an experienced yogi or are new to yoga/SUP yoga, our experienced team will make sure that you get the most out of each practice! Frida is a Registered Yoga teacher through the Australasian Yoga institute, RYTA350, an experienced SUP YOGA instructor,an Acro Yoga teacher, a Broadway Dance center certified dance teacher, a keen surfer and new on slackline shenanigans. She is passionate about having fun, spreading her radiant smile,positive vibes and loves being around people. She comes from Sweden but lives in Australia most time of the year. 11:00-18:00: Free time, beach, town. Bring balance to your body with this deep opening style of yoga practice. Yin yoga is designed to restore your tired, sore muscles by gently and slowly working the connective tissue by holding poses for an extended period of time. This yin style of yoga compliments any type of physical activity and is a great way to balance out the yang in our everyday lives. During the Acro Yoga workshops, we will use each other as tools and apart from developing our strength, balance and presence, we will also learn to confide in other people. This day is open to all levels - everyone can participate, from first time flyers to avid Acro Yoga practitioners! Thoughout the retreat, Frida will be assited by Julia Svedberg. Julia is a certified Medical Massage Therapist, Acro Yoga Teacher & a Personal trainer. Her treatments have a focus on rehabilitation, injuries and the emotional body. She works with trigger points, acupressure, stretching and stimulation of the joints. She has a deep knowledge of cardio, strength and nutrition. Julia speaks english and swedish. The deposit payment is 500 EUR (non-refundable). Full payment is due by September 8, 2017. Reservations cancelled before August 8, 2017 will incur a penalty of 100 EUR. Reservations cancelled between August 9 to September 8, 2017 will incur a penalty of 500 EUR. No refunds for cancellations made after September 9, 2017. 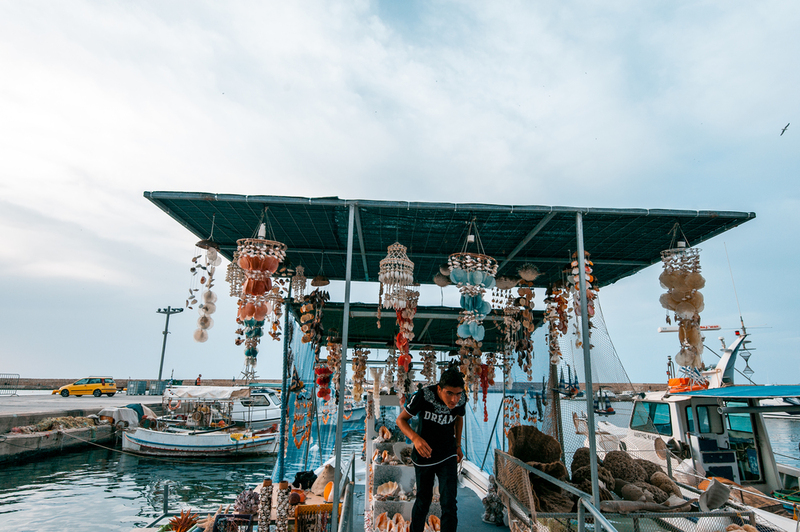 From Kasteli, one hour from Loutraki Bay, travel by boat to the exquisite, uninhabited famous lagoon of Balos Bay, one of the most photographed beaches in Crete. Take a swim, explore some of the beauties of this hidden paradise, and enjoy a pink sand beach yoga class. Lunch included. Chania is regarded as one of the most picturesque, old towns of Greece. The “Old Town” consists of the old Venetian harbour and the small Venetian blocks located behind the harbour; it is characterized by narrow and picturesque alleys – similar to an enchanting labyrinth – full of life, and many examples of Venetian and Turkish buildings. The Lighthouse, the Fortress of Firka, the Mosque of Kioutsouk Hasan, the Great Arsenali and the Neoria have become landmarks of the city. 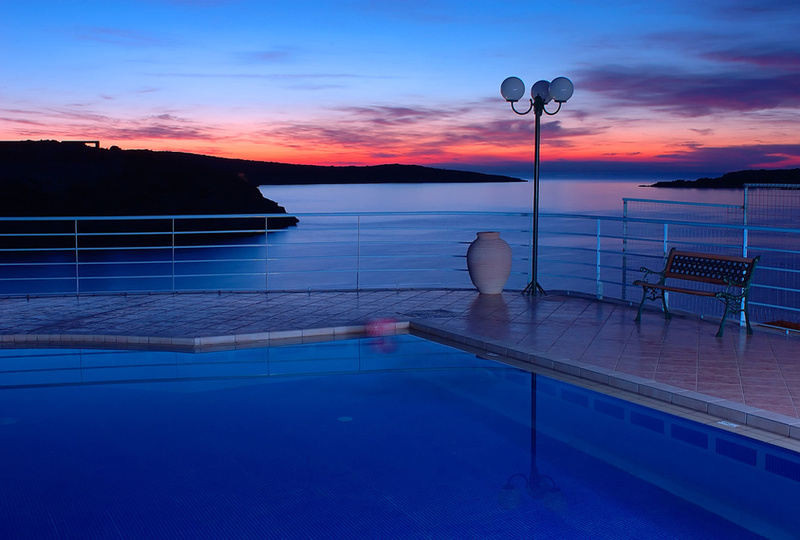 Situated in a breathtaking location on the side of a lush hill overlooking the crystal sea of the Loutraki Bay, your stay at Mare Nostrum Villas promises a holiday experience in Crete not to be forgotten. These villas with private pools and seas are the perfect place to unwind after your day of SUP Yoga practice. From the poolside terrace, let your eyes wander over the coastline and blue waters as you breathe in the fresh Cretan air. All villas have fully equipped kitchens, large spacious living rooms with cozy fireplaces. Each guest will have a room with en-suite bathroom in one of the Mare Nostrum villas. The rooms offer privacy from one another ensuring that all guests have their space. A private path leads down from the villas to the sea, only 20 meters away. Lounge by your private pool day and night and enjoy hours of sunbathing and activities– all overlooking the spectacular Cretan sea. Wireless Internet is available throughout the villa indoors and outside. Bed linen and towels are changed every three days. Nestled on the northern shores of Souda Bay, the largest natural harbour in the Mediterrrean, Loutraki is a hidden gem in northwest Crete. A former pirate hideway, Loutraki Bay is an oasis of calm, 20 minutes from both the centre of Chania and the international airport. Chania is Crete’s most evocative city, with its pretty Venetian quarter, criss-crossed by narrow lanes, culminating at a magnificent harbour. Remnants of Venetian and Turkish architecture abound, with old townhouses now restored, transformed into atmospheric restaurants and boutique hotels. The city of Chania is built on the ruins of ancient Kydonia, which according to the mythology was founded by King Kydon and was one of the most important cities in Crete. The city is mentioned in the work of famous ancient Greek writer, Homer. In addition, given the long occupation by the Venetians and the Ottoman Empire, Chania is a wonderful mix of Eastern and Western civilizations. 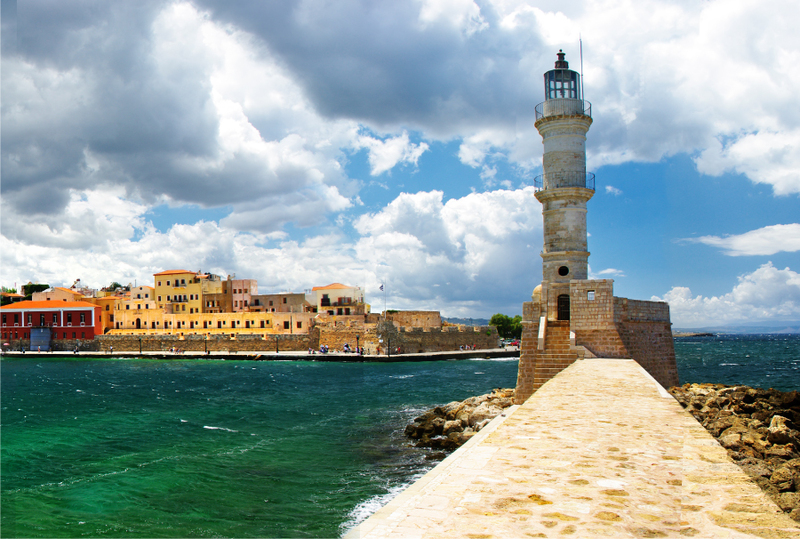 A stroll around the old harbour is a must for any visitor to Chania. Pastel-coloured historic homes and businesses line the harbour, zigzagging back into narrow lanes lined with shops. The entire area is surrounded by impressive Venetian fortifications, and the 1.5km walk around the sea wall to the Venetian lighthouse is well worth the effort. On the eastern side of the inner harbour the prominent Mosque of Kioutsouk Hasan houses regular exhibitions. The best-preserved section of the massive outer fortifications is the western wall, running from the Firkas Fortress , which was once the old Turkish prison, at the western tip of the harbour, to the Siavo Bastion. It was part of a defensive system constructed in 1538 by the engineer Michele Sanmichele, who also designed Heraklion’s defences. Entrance to the fortress is via the gates next to the Naval Museum. From the top of the bastion you can enjoy some fine views of the old town. The city of Chania also offers a vast variety of shops, coffee shops, restaurants and cultural sightseeing. October: October marks the slow descent into autumn. The average temperature slides down to 19°C (66°F), but that doesn't really spoil the fun, as the western coast insists on being sunny and warm and very much against the autumnal equinox. Low temperatures are expected to hang around 15°C, but the high temperatures are most likely to go well over the 23°C average normally recorded for this time of the year. The first two weeks of the month are generally warmer. A light jacket and a sweater are recommended. Dressing information: You can choose a swimming suit or a pair of leggings and a comfortable top for SUP yoga classes. What to bring: You are advised to bring a jacket and /or light sweater for the night, SUP yoga outfit, sneakers or trekking shoes, sunscreen with high UVA-UVB protection, insect repellent, and travel adaptor if you bring a laptop and other electronics. Yoga mat will be provided, but you can bring your own yoga mat. Languages: Frida is fluent in both swedish and english but the retreat will be in english. 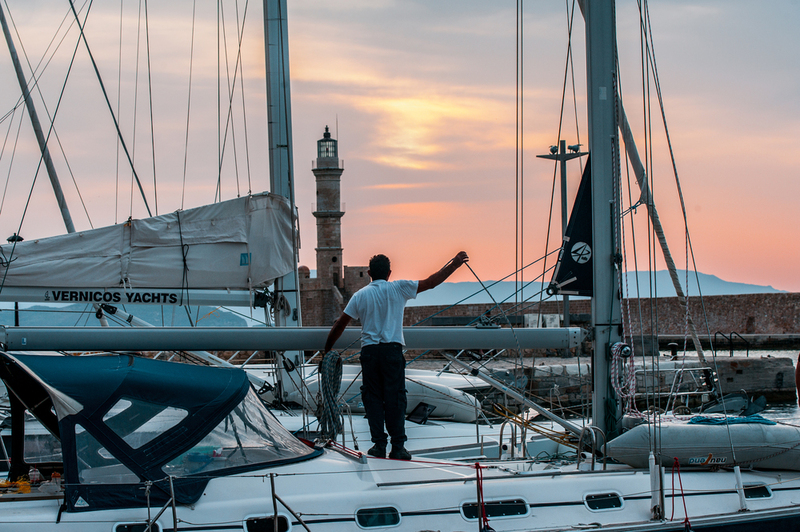 Chania has an international airport with scheduled flights year round and abundant charter flights serving much of Europe during the summer season - April to October. Ferries sail to and from Athens (Pireaus) daily (which is an easy bus or taxi ride from Athens international airport) - the port for ferries for Chania is at Souda bay, a few kilometres away. Once in Chania (airport or port) your transfer to Loutraki Bay will be waiting to meet you. Plan to arrive at some point on the first day, yoga classes will start the next morning. If you wish to arrive earlier or stay longer, please let us know and we can make arrangements.